A construction project beneath the National Mall reveals a dark secret dating back to the Civil War, something buried by a cabal of scientists, led by Alexander Graham Bell, who helped found the Smithsonian Institution. It is a cache of bones, preserved in amber, protecting a wonder like no other, the very secret of life after death. But such a prize is guarded by a horror out of the ancient past, a horror that still lives in the marrow of those bones-and is now free again. From a crystalline lab atop Mount Fuji to an island off of Hawaii teeming with what’s been called the “dark matter of life,” Sigma Force must solve a mystery going back eons, to when life first took root on this planet. But the menace is spreading, changing, growing, adapting, outwitting every attempt to stop it. It means to retake a world it once ruled. For Sigma Force to stop it, Commander Grayson Pierce will have to do the unthinkable: team up with Sigma’s greatest enemy-the newly resurrected Guild--even it if means sacrificing one of their own. From the very first chapter, it was very exciting and it got into the heart of the story. I especially enjoyed the author using the thoughts of the insects every so often. It was certainly a different approach. 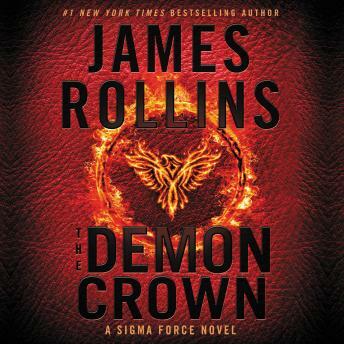 I think this is James Rollins' best Sigma Force novel! A very interesting book full of intrigue. I enjoyed the story very much. I like James Rollins' mix of fact and fiction in his books. They are great adventures especially with an excellent narrator like Christian Baskous . I will admit that the story is long and gets a bit difficult to keep up with all the small details. Yet, it is a fun and suspenseful read at the same time. still not finished the book about 3/4 through.